Some alternative medicine practitioners believe these detox teas nourish the liver, an organ that aids in the elimination of toxins from your body. Many people like to work it into their current diet, others use it in conjunction with a detox plan. A brave few do a full detox cleanse and drink only the tea, some for a single day and others a full week. 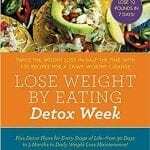 We recommend either adding it to your current diet or trying it with our Detox Diet Week: 7 Day Weight Loss Cleanse. If you want to go the route of fasting, we recommend you are doing so under the guidance of a healthcare professional. 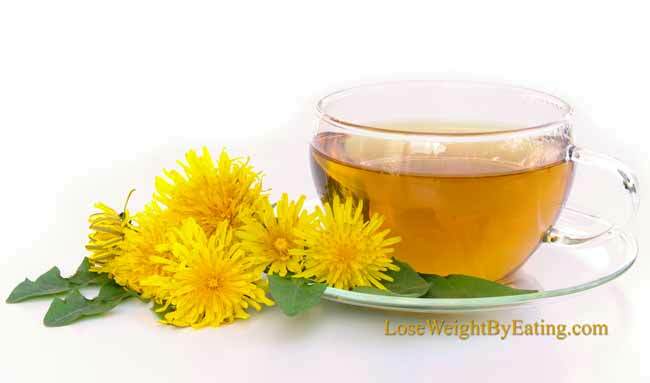 Also known as skinny tea, weight loss tea or cleansing tea, a detox tea recipe consists of hot water steeped in herbs or other plant materials such as roots. There are many types of common ingredients. Herbal tea companies offer a huge variety of leaves to choose from, but there are several ingredients that are the most popular. There are many green teas out there to choose from, even the two brands above (Yogi Tea and The Republic of Tea) have their own green tea blends! Be sure to get a green tea that is organic and GMO free. A green tea cleanse is very good for you, but you may want to try it in one of my green smoothie recipes to avoid getting bored with the monotonous flavor, or scroll down for my delicious Iced Detox Green Tea Recipe. Either way, it’s good to drink green! Next time you visit a coffeehouse ask for a green tea or iced green tea, you can find it just about everywhere. If you’re not in love with the taste, see below for our Green Tea Detox Drink, we added fruit to boost the flavor and fat burning properties. The roots and leaves of the dandelion plant are used to make Dandelion Tea. It contains lots of antioxidants like vitamins A, C and D, and significant amounts of zinc, iron, magnesium and potassium. 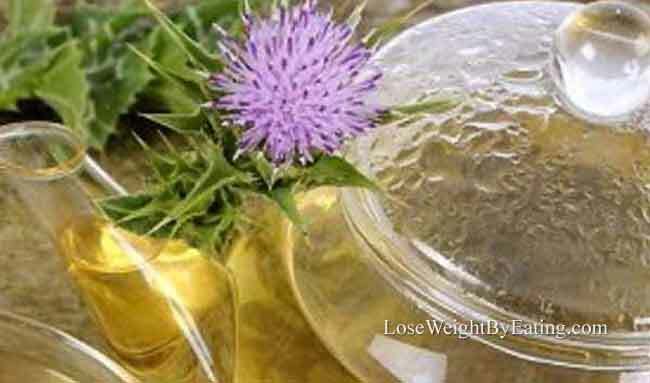 Milk thistle tea is commonly associated with its benefits to the liver. The active ingredient in milk thistle tea is called sylmarin, which is a combination of three flavonoids that are potent antioxidants. Sylmarin is believed to be responsible for protecting and repairing liver cells, as well as reducing inflammation in the liver. 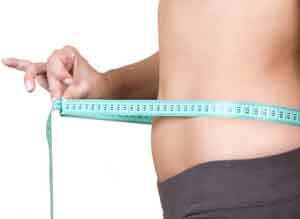 But there is a need for additional research to prove that they are able to eliminate toxins from your body. Because of this, we like to concentrate on the “getting healthy and feeling healthy” aspects of detox tea, and don’t count on them only to remove toxins. If they do, great, but what we want here are herbs that help boost metabolism, give you energy and clear up your skin. Any detox cleanse effects are just a bonus. Detox tea has been a popular topic due to it’s popularity with celebrities. Beyonce reportedly lost 20 pounds in two weeks on a cleanse before her role in the film Dreamgirls, and E! News host Giuliana Rancic is said to have used them to slim down her already fit physique for her 2007 wedding. So what is the best detox for weight loss? It’s not just the tea, but a well rounded diet supplemented with these metabolism increasing teas. 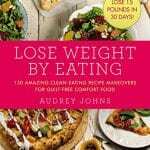 Our free Clean Eating Weight Loss Plan helps you trim pounds, and the tea recipes at the bottom of this article can help you increase those results. Many teas have shown results, so what it comes down to is decide which you enjoy, which ones you can afford and consistently see results from. Our current favorite is Yogi detox teas, when we tested the teas, our tester lost 3 pounds in 2 days, just two cups of tea a day along with a healthy diet. Plus Yogi detox teas have lots of flavors to choose from, can be found in many grocery and health food stores and have a reputable, 30+ year history with consumers. Eat a healthy all natural diet, stay away from alcohol, cigarettes and prescription (and nonprescription) drugs, live in a rural area with clean air? If you answered yes to all of these, you don’t really need a liver detox, but if you said yes to any of the questions a liver cleansing might be a good thing to do every so often. Our bodies are strong and know how to remove toxins found in nature, but toxins made in a laboratory are a different issue entirely. While detoxing, stay away (when possible) from these toxins for maximum benefit. If you use a good acne clearing facial cleanser and toner, wash your face before bed and in the morning, drink lots of water, and yet still seem to have acne or an occasional breakout, a skin cleansing detox might be a way for you to cleanse from the inside. Some people drink these teas all month long and others during breakouts or monthly hormonal breakouts. Whether you’re looking to treat acne or the occasional breakout, Yogi Skin DeTox is great. It’s organic, inexpensive and quite delicious when made into iced tea. But if you’re looking to clear up that monthly pimple or breakout brought on by your monthly cycle or from hormonal changes due to menopause you may want to try out The Republic of Tea’s Get Gorgeous as it helps reduce symptoms of PMS and menopause while clearing your skin. There are many tea detox products on the market which boast weight loss, liver detoxification and even acne reduction. Some cost the price of a box of tea, and others are hundreds of dollars! It’s daunting to choose the best tea for weight loss and weed through the real stuff and ignore the marketing hype. One of the most popular commercial detox teas is Yogi Detox Tea. They have many flavors and options to choose from. If you’re looking just for a basic one, they have a box for that. Other selections include an acne tea, stress reducing tea and weight loss teas, and with over 60 tea blends there is something for everyone. The prices are reasonable and you can even get a variety pack! If you’re a picky tea drinker try out their Peach DeTox, it’s delicious and has the best reviews of all their teas. Started in 1984 Yogi teas has a long history of providing reasonably priced items to every customer, all their teas are certified organic and start under $10 for 16 tea bags. Often you can find their teas in health food stores, and below we have used some of their teas to create a fat burning tea recipe you can enjoy hot or cold. The Get Clean blend from The Republic of Tea is delicious, organic, GMO free, Kosher and sugar free. This zero calorie tea is sweet and delicious with a nutty vanilla flavor, but it does contain nuts so if you have a nut allergy steer clear. Many drinkers of this one say they feel an almost immediate reduction in bloat. The Republic of Tea also has a metabolism boosting tea called Get Burning, we have yet to try it but it gets great reviews online and is also organic, GMO free, Kosher and sugar free. Some of their teas are loose leaf, but you can buy your own empty tea bags to fill or use a tea strainer to make your brew. Some people find the flavor of the teas strong at first, so here are some recipes to maximize flavor while adding metabolism boosting ingredients. If you plan on icing your tea, use frozen fruit in your glass for an added boost of flavor. We like to replace half the ice with frozen organic berries. We made these drinks to compliment the teas they are mentioned with, however you can mix and match to create your own blends, or use the recipes with your own favorite skinny weight loss tea. Add mango and pineapple for a sweet and mellow flavor. In an 8 oz cup of hot tea, add ¼ cup mango, pineapple or a combo of both. For a 16 oz cup of iced detox tea, add ⅓ cup frozen mango, pineapple or a combo of both. Add Pomegranate seeds or your favorite berries (frozen berry medley is great). In an 8 oz cup of hot tea, add 1 tablespoon pomegranate seeds or ¼ berries. For a 16 oz cup of iced detox tea, add 1 tablespoon frozen pomegranate seeds or ⅓ cup frozen berries. Add peaches and apples to compliment the cinnamon and spice flavor. In an 8 oz cup of tea add 4 thin apple slices (about ¼ cup) and 2 peach slices (about ⅛ cup). You can make this recipe with any of the other weight loss teas mentioned. Green tea detox drinks help cleanse your body and make you feel better. It’s also a delicious metabolism boosting powerhouse. Pair the above recipes with green tea. Make a pitcher for your fridge and sip your way to a faster metabolism. 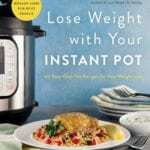 In a medium-sized pot, combine the water and ginger, bring to a boil. When the water starts to boil remove from heat, add the tea bags to the pot and steep for about 15 minutes. Strain the brewed tea into a pitcher and discard the ginger and tea bags. Add in the lemon, orange, mango and pineapple, cool to room temperature before refrigerating. Most people find it sweet enough with the mango and pineapple, but if you’re looking for a sweeter tea, brew it with fresh or dried Stevia leaves, or add raw honey in moderation. Whether you’re drinking it for a weight loss cleanse, to flush your system of toxins, or just because you like the taste, detox teas are a great way to drink more water and add antioxidants to your diet. Start slow, some tea detox products include natural laxatives, so it’s best you know how your body will react on one tea bag a day before increasing. Remember, a healthy diet is important to maintain during and after your cleanse to maximize results. For those of you looking for a more intense cleanse, try our Detox Diet Week: 7 Day Weight Loss Cleanse with these teas. Check out WeightLossTopSecret for more clean eating recipes and weight loss tips from .